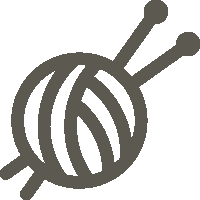 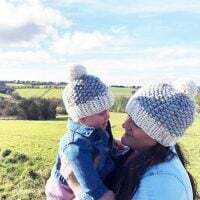 Make matching mommy and me seed stitch beanies just in time for mother’s day! 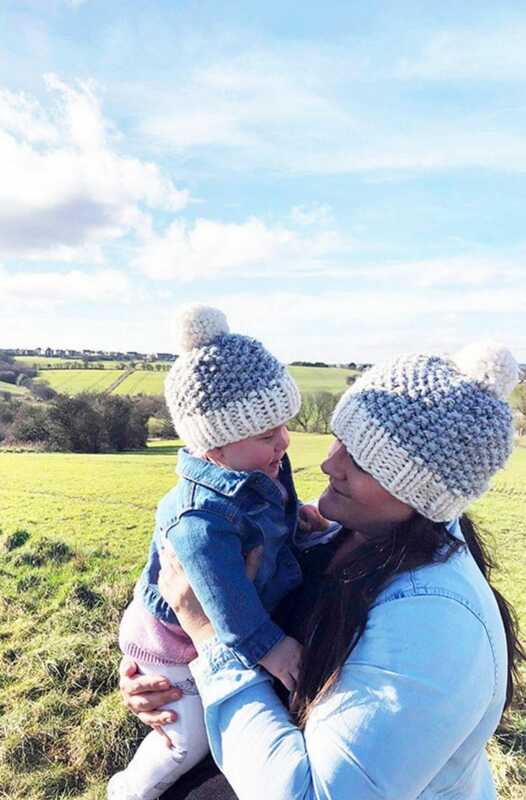 These textured beanies knit up fast in super bulky yarn. 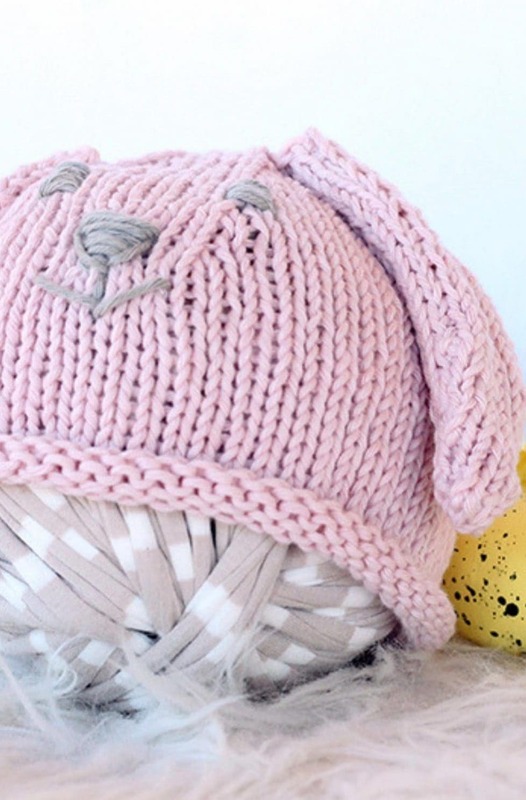 This bunny ear hat is available to make for baby in three sizes. 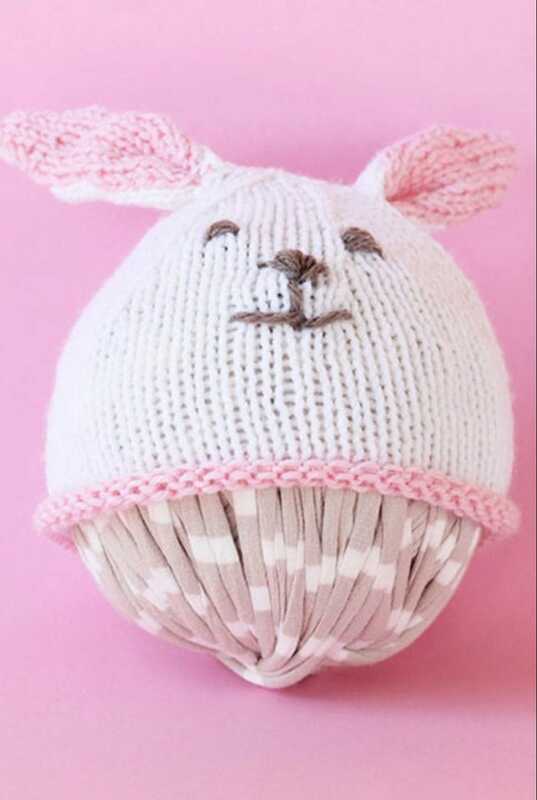 Perfect for newborns and babies up to 9 months.